Diamonds are supposed to be a girl's best friend, but new research suggests that most women's second favorite thing in life - chocolate - may be the friend with the most benefits. A new study published this week in the Journal of the American College of Cardiology concludes that women who wolfed down the most chocolate were significantly less likely to suffer a stroke than their peers who abstained from the delectable dark stuff. The benefit is almost certainly due to the powerful antioxidant polyphenol compounds found in high-quality chocolate, especially chocolate with a high cocoa content. Previous studies have shown that chocolate consumption is linked to lower blood pressure, better cholesterol profiles, better blood vessel health, reduced heart disease risk and a reduction in insulin resistance. The latter is a condition that often precedes, or accompanies, the onset of type 2 diabetes. Previous studies have also shown that eating chocolate helps reduce the "stickiness" of blood platelets, which may help explain the reduced incidence of strokes documented in the present study. 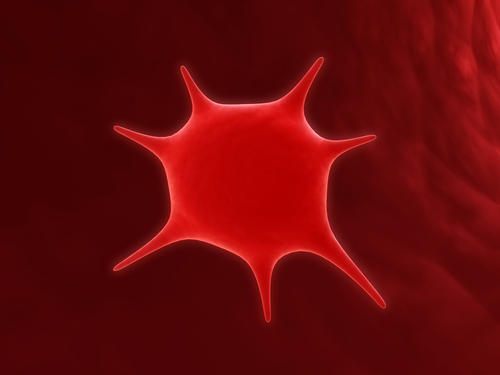 Platelets are blood components that act to form clots, which help stop blood loss in the case of a wound. But when clots occur spontaneously in the blood vessels, in the absence of injury, they may travel to the brain, where they may cause a blockage in one of the small vessels supplying blood, oxygen and nutrients to the brain. When that happens, the affected tissue quickly dies, resulting in a stroke. Such clots are more likely when platelets become too "sticky". The present study examined the links between chocolate consumption and stroke in a large population of Swedish women, whose health status was followed for about a decade. Researchers found a clear link between higher consumption of chocolate and a lower incidence of stroke. While protection appeared to increase along with consumption, only women with the highest intakes of the delicious treat enjoyed statistically significant decreases in the incidence of stroke.